Victoria Cruises is offering reduced winter rates on February departures of its popular three- and four-night Three Gorges Highlights itinerary. The discount can be combined with Victoria Cruises 2-for-1 offer on bookings received by Feb. 28, 2019 for a total savings of more than 67% of the cruise fare. NEW YORK, NY – Victoria Cruises, the only American-managed luxury cruise line operating on China’s mist-shrouded Yangtze, is offering reduced winter rates on February departures of its popular three- and four-night Three Gorges Highlights itinerary. The discount can be combined with Victoria Cruises 2-for-1 offer on bookings received by Feb. 28, 2019 for a total savings of more than 67% of the cruise fare. In order to qualify for the 2-for-1 discount, bookings must include a $90 per person mandatory shore excursion package (billed at $45 per person after 2-for-1 savings is applied). The package features three excursions including an educational tour of the Three Gorges Dam, a tranquil sampan excursion along one of the Yangtze’s scenic tributaries and a visit to a famous Chinese monument such as a 100-foot-tall statue depicting the Jade Emperor, the supreme deity of Chinese Taoism, or Shibaozhai’s famous red pagoda. Excursions are subject to change. With all discounts included, passengers can sail for as low as $285 per person, based on double occupancy – representing a total savings of $1,170 per couple. Optional add-on excursions such as the Tribe of the Three Gorges cultural experience or an opportunity to experience the world’s largest ship elevator (capable of elevating a volume of water roughly equivalent to four Olympic-sized swimming pools), are available for onboard purchase starting at $45 per person, per excursion. Onboard passengers will enjoy a world-class dining program designed for the Western palate, while Tai Chilessons and traditional dance and musical performances emphasize local culture. Passengers can upgrade their onboard experience for an additional $200 per person with Victoria Cruises’ Luxury Amenities program, which offers VIP perks including upper deck stateroom placement, access to exclusive ship areas, “white glove” service, enhanced culinary privileges featuring a la carte options as well as wine and beer with dinner, exclusive happy hour and complimentary Wi-Fi Internet access. The nominal $200 per person upgrade becomes $100 per person when the Luxury Amenities program is booked in conjunction with Victoria Cruises’ 2-for-1 offer. New York-based Victoria Cruises established new standards of excellence for sailing China’s Yangtze River when its first ship edged out of port in 1994. Victoria Cruises remains a service leader on the Yangtze River with each ship earning the coveted five-star rating from the China National Tourism Administration. Victoria Cruises has earned numerous awards and recognitions over the years including the 2011 TravelAge West WAVE Award Editor’s Pick for Best River Cruise Line as well as Best New River Cruise Ship in 2010 with the launch of the luxurious Victoria Jenna. In that same year, Travel Weekly also selected the Victoria Jenna as a Silver Award Winner for the Magellan Awards’ River Cruise Ship category. 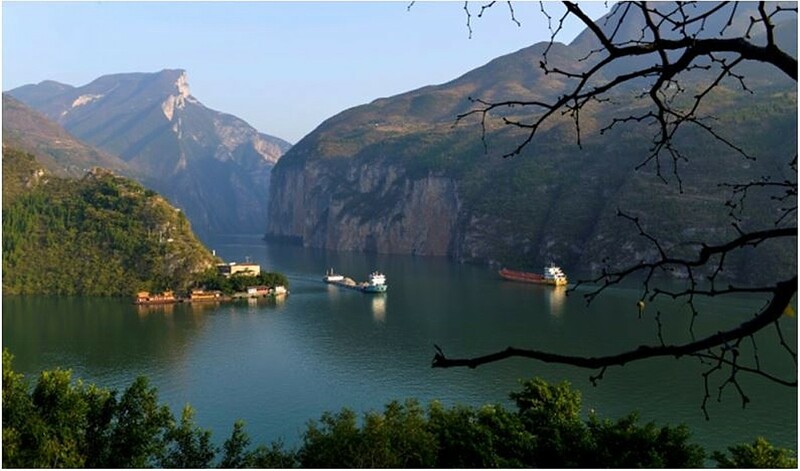 The cruise line operates a variety of itineraries on the Yangtze ranging from four to eight days. For more information and a free color brochure or promotional DVD, contact Victoria Cruises at 136-18 39th Avenue, 12th Floor, Flushing, NY 11354; phone (800) 348-8084, (212) 818-1680; fax (212) 818-9889. E-mail contact@victoriacruises.com or visit www.victoriacruises.com.